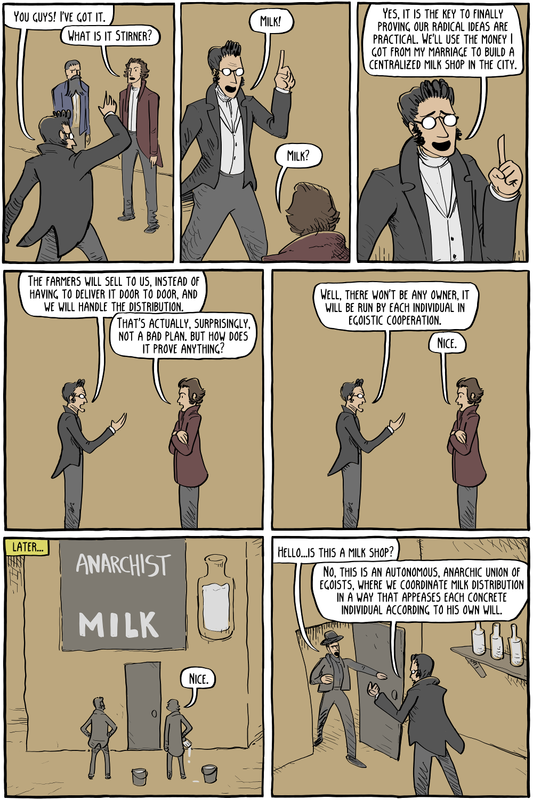 In the spring of 1845, Max Stirner gambled away all of his wife's inheritance on a centralized milk distribution business. Supposedly he wanted to use the business to both prove his ideas would work in practice, and to set him up for life, so he wouldn't have to worry about money and could just write. Well, the business failed almost immediately, because he had trouble finding customers, possibly because of his inability to relate to his customers, his inexperience in business, and him alienating people with his strange egoistic anarchist politics (details are scarce, so it is mostly speculation). He was made fun of ruthlessly by his contemporary intellectuals, and his wife of two years left after he blew all of their money. For the rest of his life he lived off the very meager income he got from writing. How sound the idea of the enterprise was, in spite of the unsuccessful attempt, was later shown by Klingel-Bolle, which is well known today by every Berlin child. It mixed its milk, if not with water, then with a big portion of Christianity and thus contributed not inconsiderably to the success of its business. 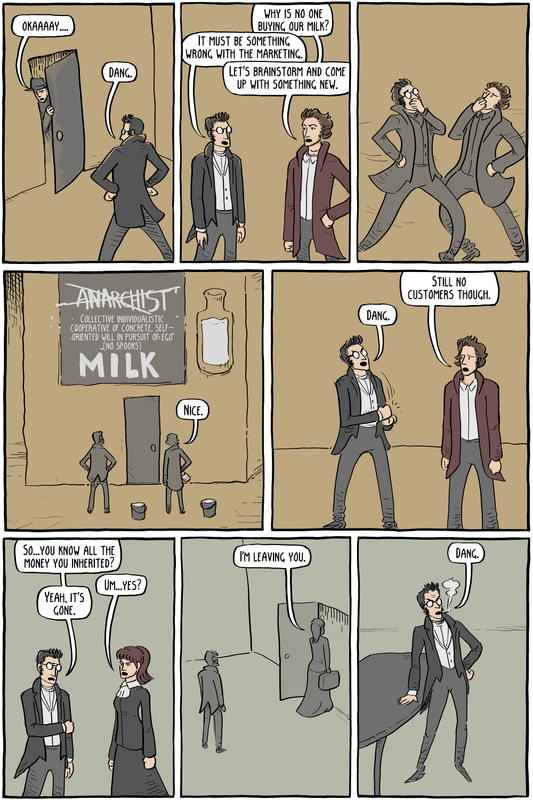 It turned out that Christianity worked better than anarchism as a selling point for milk. Who could have predicted that? Not Max Stirner, apparently.